Post medieval silver halfgroat of Charles I, 1632-3, London mint. A Post Medieval Sixpence of Charles I, Group D, Harp mint mark, c. 1632-3. 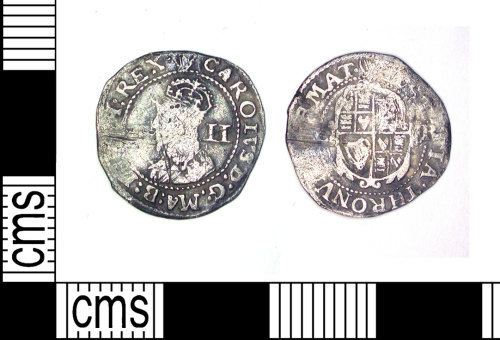 Silver post-medieval halfgroat of Charles I, AD 1625-1649. Fourth bust. Harp initial mark, AD 1632-3. North group D, no.2255.